Last year's play-off semi-finalists Team Bath and Hertfordshire Mavericks started the 2015 Superleague season with victories. Mavericks beat Celtic Dragons 54-39 while Bath battled to a 49-33 win over Team Northumbria on Saturday. Yorkshire Jets finished round one as the highest points scorers, winning 70-44 against Loughborough, who lost all their games in the 2014 season. Round two starts on Monday, with the Dragons hosting Northumbria. 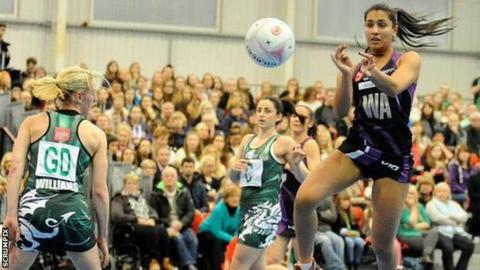 The remaining second-week fixtures will be played on 7 February, with Hertfordshire against Loughborough and Surrey Storm at home to Yorkshire. Champions Manchester Thunder also return to action on Saturday, after their opening win over Storm, when they host Bath.